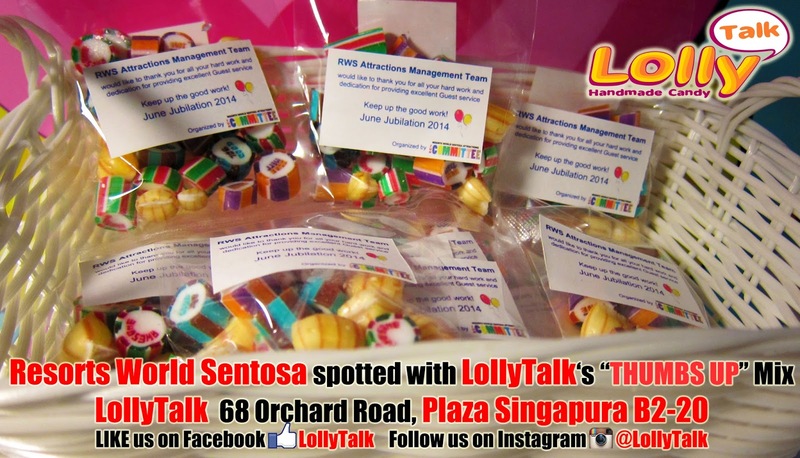 Candy Gifting... by LollyTalk: Resorts World Sentosa June Jubilation 2014 Celebration... Sweet gifts from management to staff, handcrafted with Love and Served with Passion by LollyTalk. Resorts World Sentosa June Jubilation 2014 Celebration... Sweet gifts from management to staff, handcrafted with Love and Served with Passion by LollyTalk. 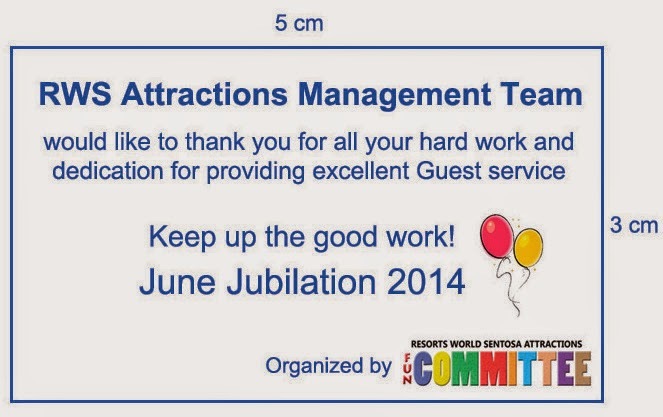 Resorts World Sentosa (RWS) Attraction Management Team celebrated their June Jubilation 2014 last month and the management was sourcing for the ideal gifts for the staff who worked so hard for the past year. It is well known for World Class Integrated Resorts like RWS to have high standard of Guest service, likewise when it comes to getting their service crew special gifts for internal celebration, RWS naturally source for only the best. The management at last decided on getting LollyTalk's readily made THUMBS UP MIX which consist of "WELL DONE", "GOOD JOB", "AWESOME" and a banana pillow. 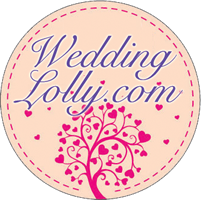 The lollies are given out to the staff in goodie bags hence they decided to have the lollies packed in the light weight, no frills clear plastic bags with a personalised sticker label, which ease logistic and distribution to the massive number of staff for a big company such as RWS. What could be a better way to celebrate with all the staff going home with a "sweet praise" from their bosses? 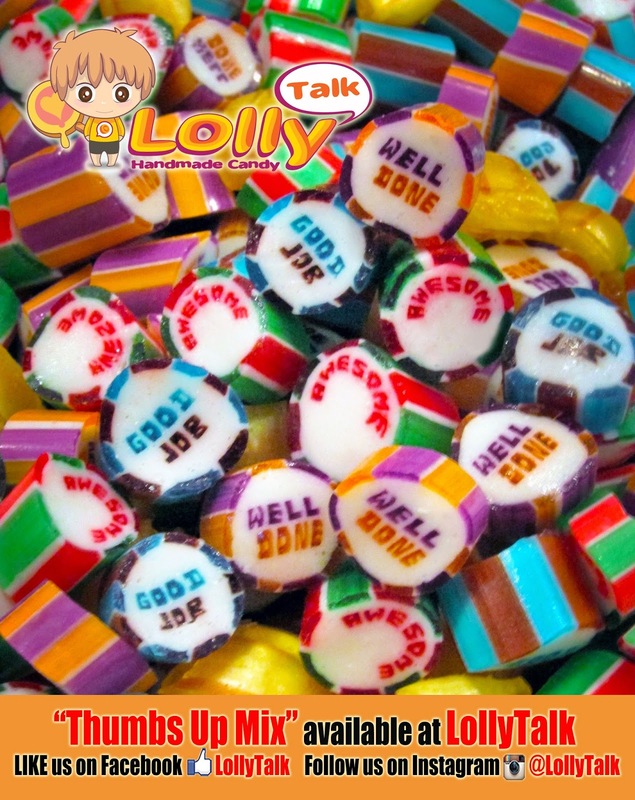 LollyTalk provides customised lollies (rock candy with messages and greetings) for corporate events as well as staff benefit/rewards giveaways. LollyTalk can further personalized the items with various customised packagings and sticker labels. 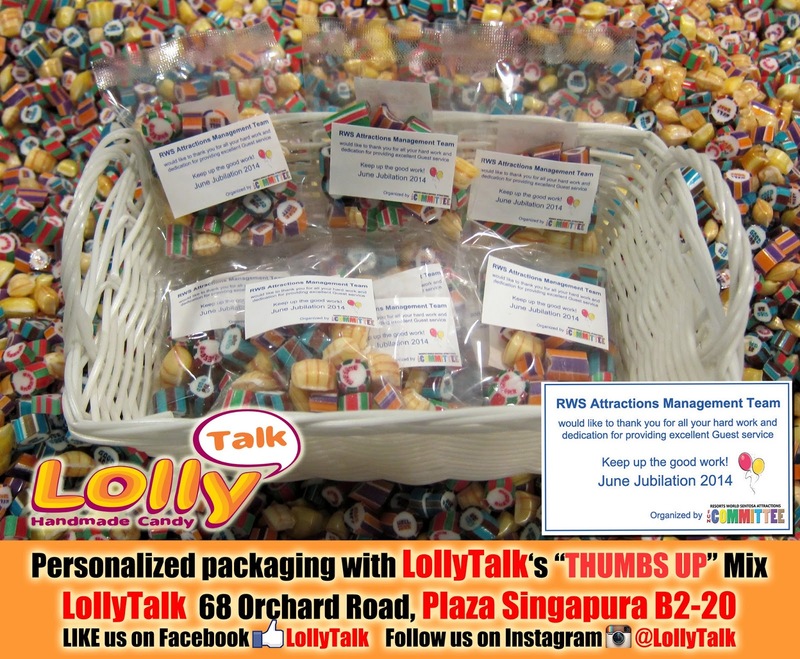 Resorts World Sentosa is one of the many successful examples of LollyTalk’s corporate clients we assisted to use LollyTalk’s readily-made lollies with messages together with personalised packaging. When it comes to getting quality rock candy from the management to well deserved staff during celebrations and internal events, World-class integrated resorts such as RWS only choose the best… RWS chosen LollyTalk! What about you?